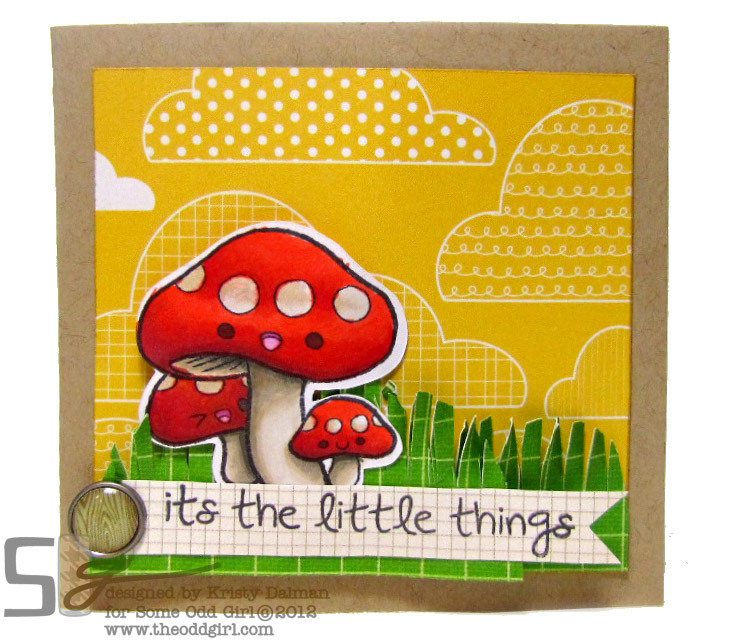 Today I have for you this month’s Color Swatch Journal. 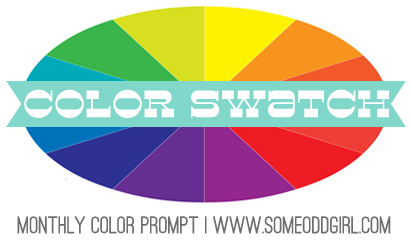 If you are scratching your head at that, in part 1 (you can see the first post with all the deets on the first edition) we give you a color prompt and you play with the medium of your choice to see what color combos you can come up with, then in part 2 we put them to use. I post the prompts here and on the Some Odd Girl blog blog but all the fun of seeing everyone’s takes and try outs goes on in our Community. The prompt has an example color group for Copic Markers and Spectrum Noir but you can use ANY MEDIUM you’d like. Find a similar color and have at it! 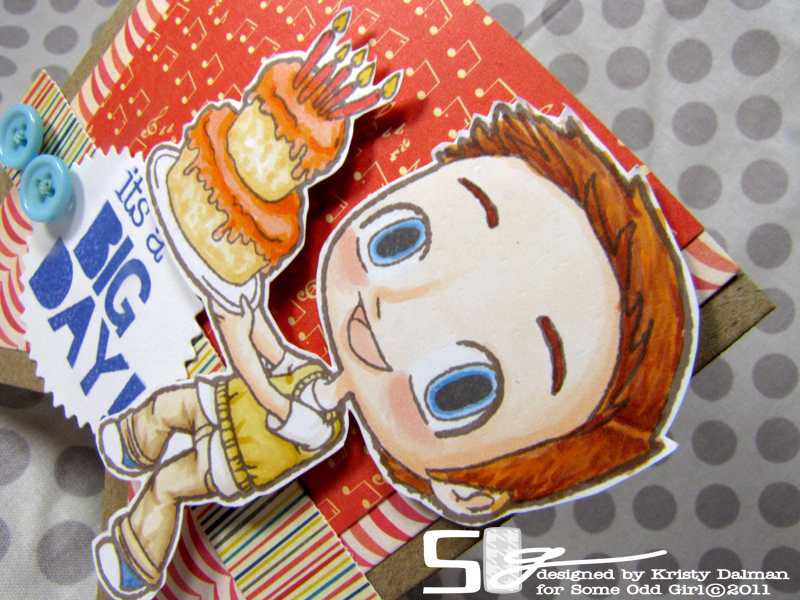 We had people join in with ProMarkers and Prismacolor pencils last month so don’t be left out! 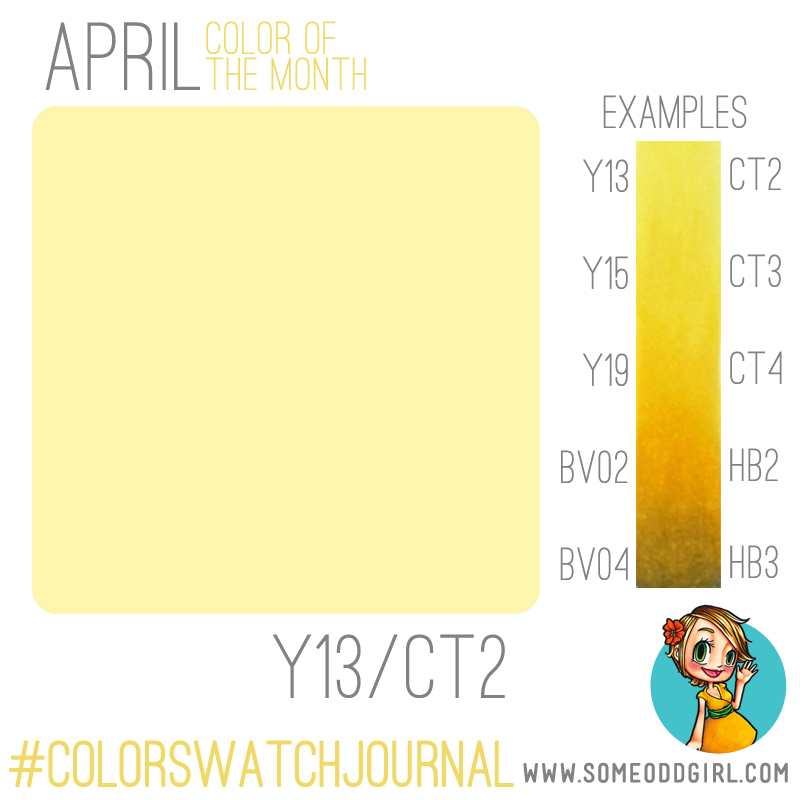 Hop on over to our community and post your Color Swatch in the April Color Swatch Journal Album. Use #ColorSwatchJournal on Instagram too! a Big Sneak Day for Tobie! Oh since I’m a new SOG subscriber to your blog, I will have to go check out the other post…but had to tell you thank you for listing both the Copic and Spectrum colors!! YAY!! !